The New 49’ers provides a wide variety of gold mining properties for small-scale gold miners and prospectors. With more than 60 linear miles of gold-laden properties for members to use, many types of properties are available to accommodate many types of prospecting. From gold panning, sluicing (with and without motorized pumps) booming and nugget hunting with detectors, we have the property for it. There are two important things we also offer, that you cannot find elsewhere: we have beginning training that is ongoing, and we have a family atmosphere that will bring you to some of the best friends you have ever had! Through these friendships you learn more quickly, and have more fun—and fun is the name of the game with us! While all these things make up the reason this organization was founded, the location has provided a host of unexpected fun opportunities for having a spectacular adventure vacation. Nestled in the Klamath River Canyon of far northern California, club headquarters are located in the small, rural town of Happy Camp (an old gold rush town) in Siskiyou County, far from the hectic life and traffic of the rest of the state. The scenery is spectacular. Heavily forested with mixed conifers and hardwoods, wildflowers, blackberries, and lush grasses present a picture postcard at every turn of the road. Adventurous river-rafting trips on the mighty Klamath River, almost daily. Many hiking trails in the area, bordered by the Marble Mountain Wilderness, including the Pacific Crest Trail. Spectacular fishing for steelhead, trout, and salmon. Riding trails for those who wish to explore the mountains on horseback. Sparkling clean “swimming holes” on the gorgeous creeks that abound in the area. A natural sulphur springs alongside one of the creeks for magnificent soaking, and then a picnic in the campground bordering it. The Siskiyou Mountains offer some beautiful specimens of wildflowers, many found nowhere else. This area is also home to a great variety of birdlife, and has both Owl and Osprey sanctuaries located nearby. Eagles are frequently seen, and the lush undergrowth of the area, birds of many kinds make this area their home. Much wildlife can be seen here. Deer are very abundant, raccoons, porcupines, etc. Black bear (although not always black in color) are often seen, well-fed coyotes, bobcats, and there are large herds of Elk in the area. With all of this to offer, a family adventure location can become one that is treasured for life. And, with all the properties we have to offer, if you just want something peaceful and quiet, and to stay by yourself, that is very easy also. Hi, we’re glad to see you! Thank you for inquiring about The New 49’ers Prospecting Association. As founder and general manager of this exciting prospecting organization, I would like to extend to you a personal invitation to explore the opportunities and privileges that our members enjoy. 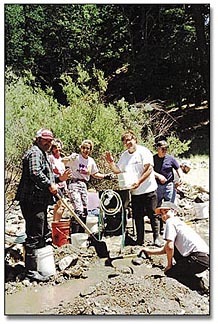 New 49’er members are continually demonstrating that the fun and excitement of gold prospecting can be enhanced through The New 49’ers activities and facilities. Gold recovery usually shows a dramatic upswing whenever individuals associate themselves with our organization. The mining properties we make available to our members, which are located principally along the Klamath, Salmon, Scott Rivers and their creek tributaries near Happy Camp, California, have abundant gold and an established and proven gold mining history. 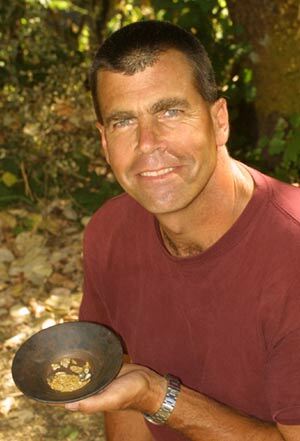 We are a serious prospecting organization – serious about recovering gold. After reviewing this welcome message, if you would like additional information, I recommend you view our free 30-minute video. 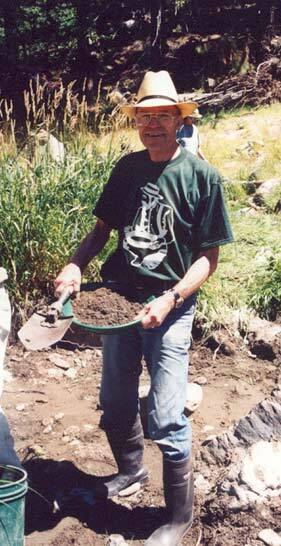 This spirited presentation features a number of our members sharing their personal experiences of gold prospecting. It portrays the camaraderie and outdoor adventure we share. The video in DVD format is available free by contacting our office.